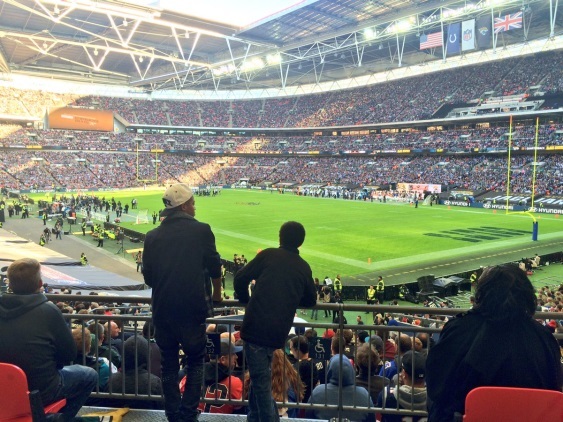 This term saw 54 students from year groups across FCBS and FES join 85,000 NFL fans at Wembley - it was a fantastic experience for all involved. Students were rewarded for completing a mentoring booklet called Reward Rows - setting targets in four areas; behaviour, academic progress, community involvement, and fitness & health. The mentoring booklet proved an enjoyable and effective task, fitting alongside and reinforcing the school's ACHIEVE agenda. It was a fantastic, action packed day and FCBS are very grateful to Fulham Football Club and NFL team Jacksonville Jaguars for hosting us at the event.